Jumping Rope There are 12 products. 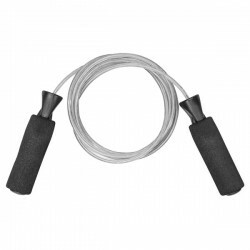 The speed ropes are stainless steel cable wrapped in plastic for maximum speed. 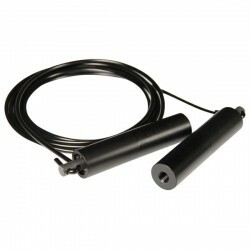 The heavy power ropes utilize solidrubber rope with swivel bearings on the handles for greater freedom of movement. 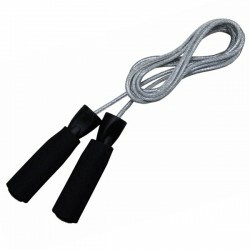 High-quality jumping rope of professional quality.Length handle with130 mm. Ball bearing rope connectors (PA6). Bend-resistant steel rope. 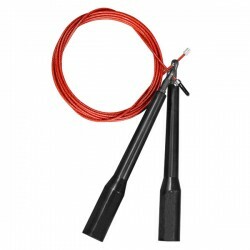 A light-weight PVC rope allows quick and smooth rotations. While still offering a little more left than a speed-cable. This rope is great for anyone starting on double-unders or for those who prefer some dynamic feedback. 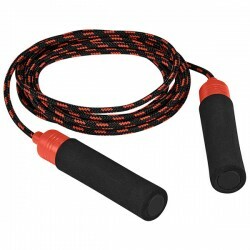 Jump Ropes made of neoprene and plastic handle. 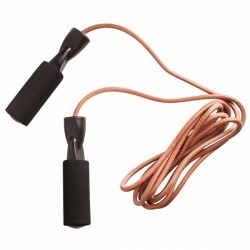 Leather jumping rope with plastic handles. 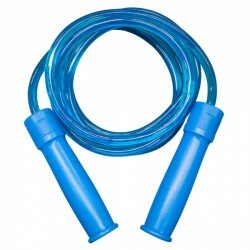 Jumping Rope Made of Blue Plastic with Plastic handles. This rope is evil. It has a very heavy PVC cable that will buildstamina and strength. Double-unders on this are not impossible, just not very smart. One size fits most. 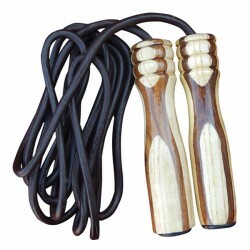 Leather Jumping Rope with wooden handle. Built with a six inch, rotatinghandle for sure grip. The bearing system allows for top-end revolutions and the coated cable adds speed anddurability. It s built to last.Theonly thing that will break are your records. 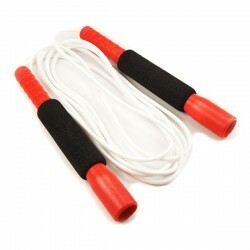 Jumping Ropes made of plastic material. 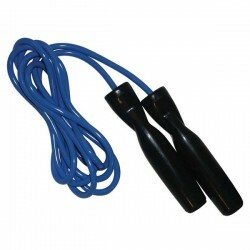 Long Handle Freestyle Jump Rope The extra long 8" handles make jumping easy. 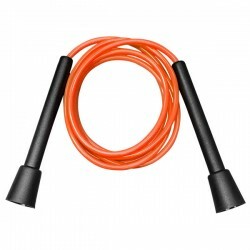 Jumping Ropes made of steel with plastic handle. 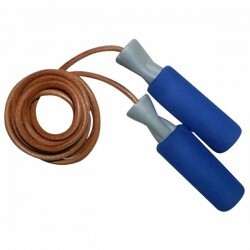 Leather Jumping Rope with Plastic Handle.